I scored a few awesome deals while thrift store shopping this week! Almost all of my finds were brand new with the tags still attached, so I am pretty excited to say the least! Normally I do not find so many shoes but for some reason this week that was the majority of what I found. These four pairs were purchased at Goodwill and the three on the right are all brand new! 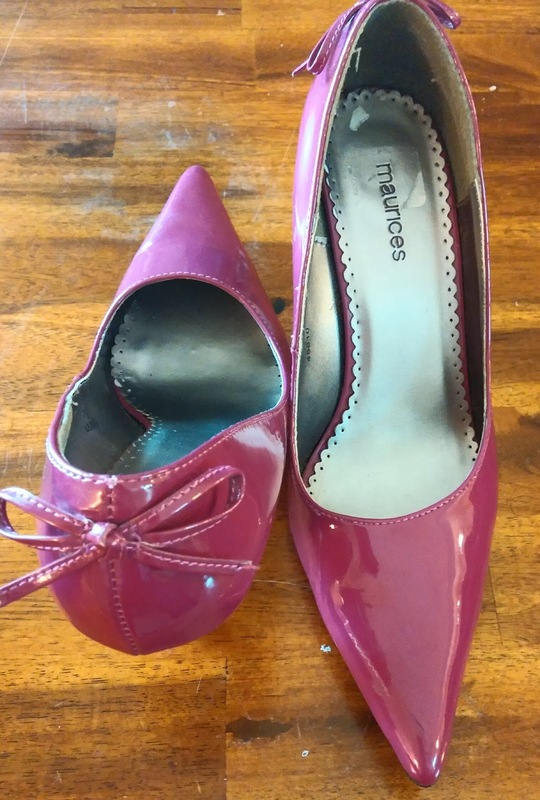 These pink heals are one of my favorite finds and I love the bow detail! 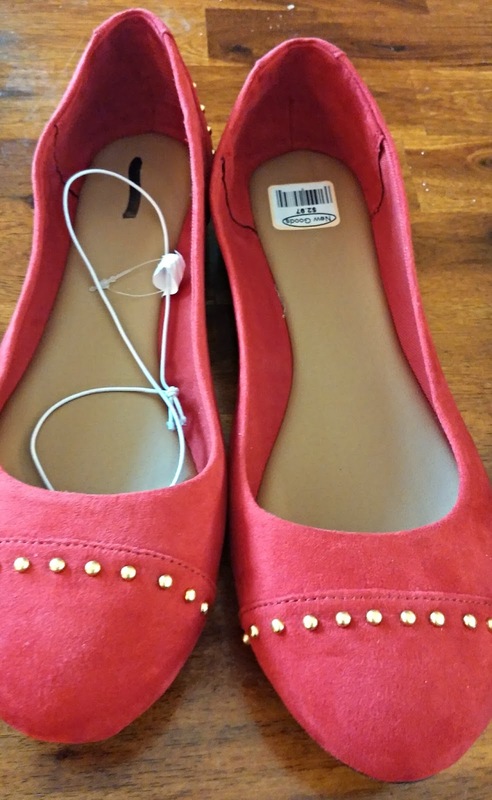 These flats are from Target and still have the tags on them. They are not my size so I picked them up for my sister because $2.97 is just too good of a price to pass up for a new shoe. These shoes are from Target as well and were again only $2.97. I spotted them and had to get them for my sister in law because they were not my size. The gold stud detail is what makes them. So cute! 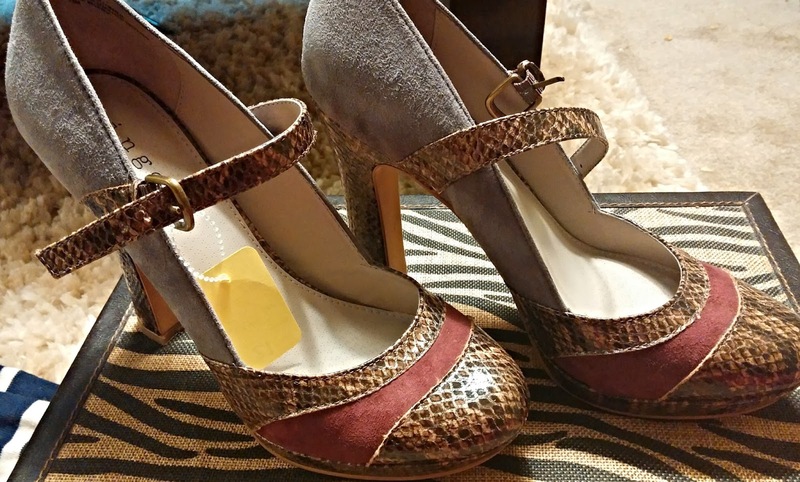 These heels I got at a little 2nd hand store called Beau Monde Exchange for just $6.00! 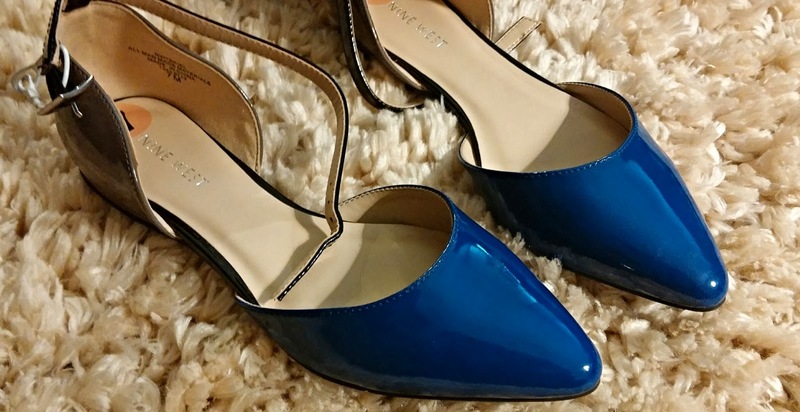 Heels are a must have in my wardrobe and I am glad I found these for a great price. 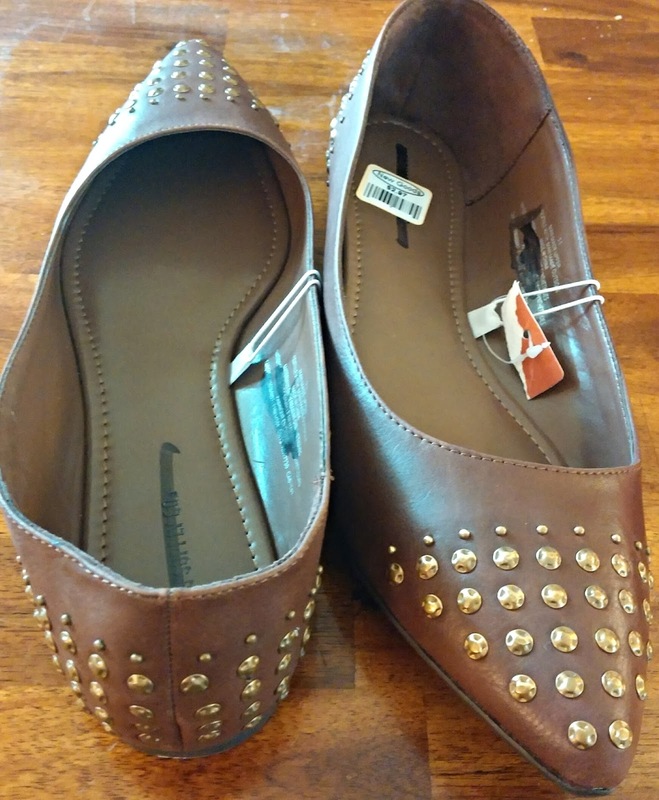 These flats I bought from a friend because they were not working out for her. 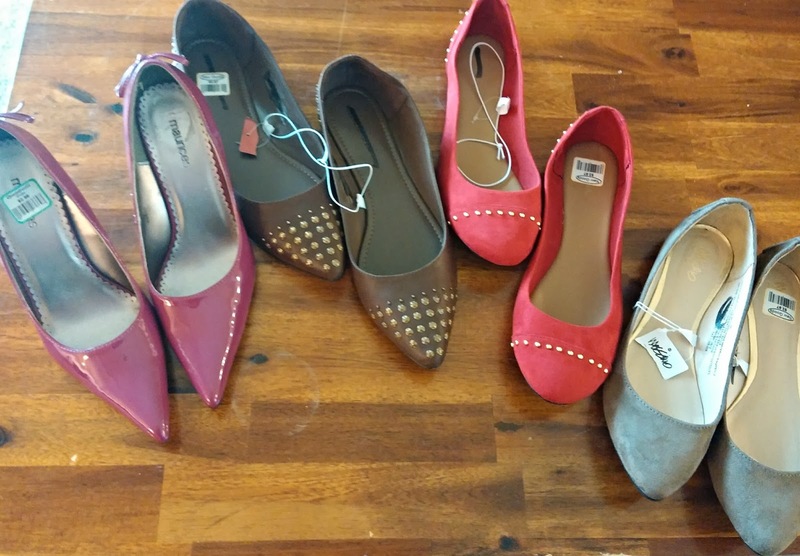 The brand is Nine West. The sweater is from Beau Monde Exchange as well and it was only $7.00. I have been a little obsessed with stripes lately so I couldn't pass up this Old Navy sweater. I got this top and belt at Goodwill the same time as I got the shoes. Both from Target and both new. 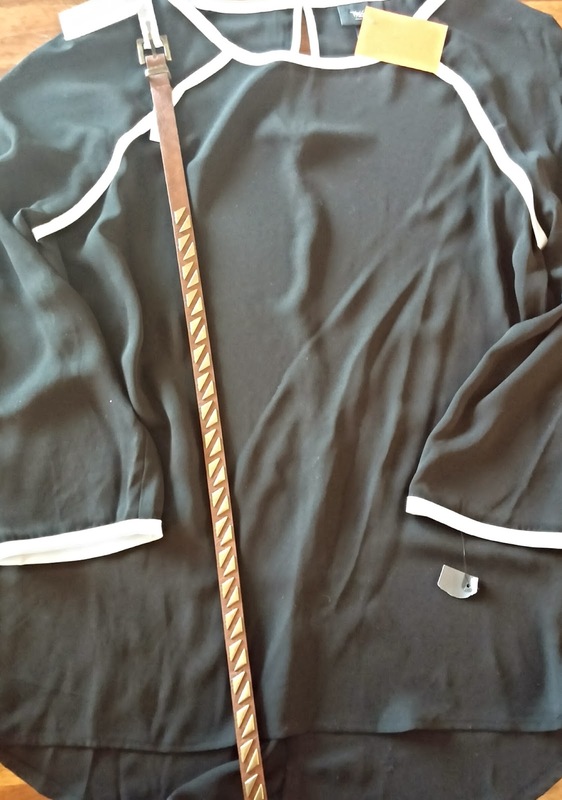 $.97 for the belt and only $1.97 for the top! 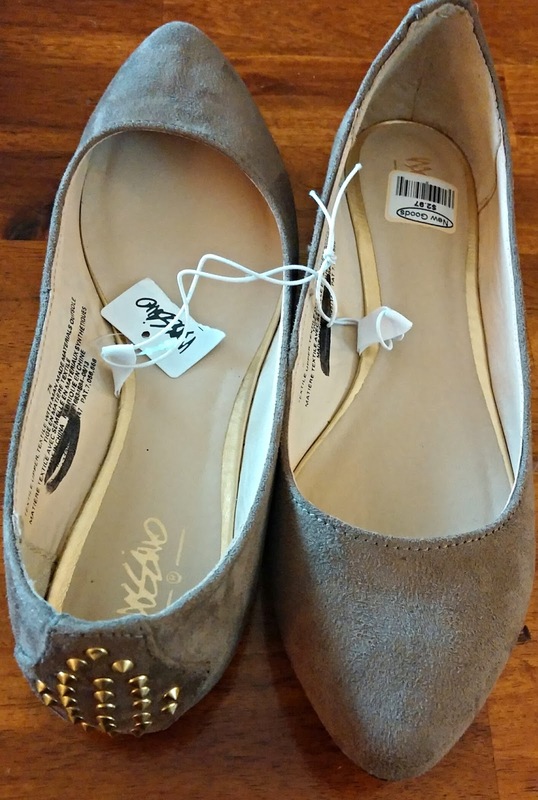 Flats only $2.97 and purchased at Goodwill. So grand total (drum roll please): $ 27.84 for all 9 items! Not to shabby! Those blue shoes!!! So cute! I love the red shoes and blue too! I love your blog. I am a thriftstore kind of girl too. Love all the stripes too-so my style.